At a time when it seems every country is tightening restrictions on internet freedom and introducing more and more online censorship, it is refreshing to see the President of one European country bucking the trend. In his Christmas address, the President of the Czech Republic, Milos Zeman has reacted to plans from his country’s Interior Ministry to launch a new unit which many fear is intended to censor internet and media content. The new Centre Against Terrorism and Hybrid Threats has been established as a result of the Czech Republic’s National Security Audit and will begin operations on January 1st. It is intended to contribute to the fight against terrorism and monitor for online threats and terrorist propaganda. According to the Czech Minister for the Interior, Milan Chovanec, the new unit will be a small one, with just 20 staff, and is a response to recent terrorist attacks across Europe. Their urgency to get the unit up and running has no doubt been heightened by the recent Christmas attack in Berlin. But in his Christmas speech, President Zeman took the opportunity to express concerns that have been raised in a number of different quarters about the true role of this unit. 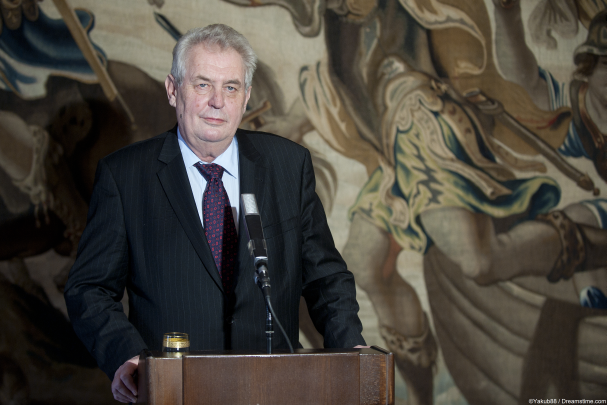 Zeman went on to say that the Czech Interior Ministry mustn’t become “a modern-day Konias”. That comment refers to the infamous Czech preacher and religious author Konias [in Czech] who lived from 1691-1760. He was a staunch advocate of censorship at the time and was involved in the burning of many non-Catholic texts which he deemed to be heretical. The Czech Government has been quick to belittle the comments made by Zeman, whilst asserting that he right to say that censorship has no place in the country. Milan Chovanec insisted that the new unit was only intended to forward information to the Czech Republic’s law enforcement and intelligence agencies. He also said that he would be forwarding documents detailing the role of the new unit to the President’s office “so that he can acquaint himself with the centre’s tasks and work”. As the new unit is intended to address information sources such as these, Docekal postulates that Zeman is lashing out against this attack on information sources he uses. It remains to be seen whether the new Centre Against Terrorism and Hybrid Threats does indeed fulfil the narrow purpose set out for it by the Interior Ministry, or whether as President Zeman has said, it plays a rather broader role. Certainly, the Czech people, many of whom still remember only too well their years under the Soviet police state, will be watching closely to ensure their online rights and freedoms continue to be upheld.